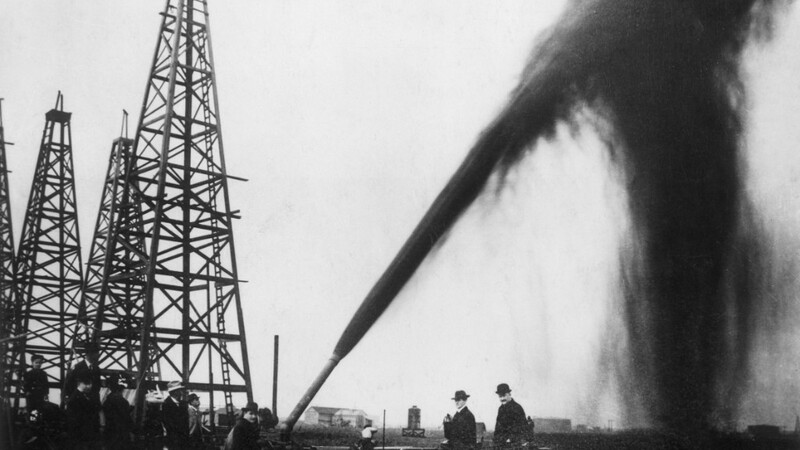 The oil crash is over, right? Maybe not. At least that's the warning from Morgan Stanley, which argues crude oil prices could spiral downward later this year to as low as $30 a barrel. It's a counter intuitive warning, given that oil prices have actually soared by nearly 100% since mid-February. But Morgan Stanley points out that the huge rally has been driven largely by unexpected supply outages in Nigeria, Canada and elsewhere, all of which won't last forever. "Oversupply is likely to return as outages resolve, and prices could fall back into a $30 to $50 oversupply pricing regime," Adam Longson, Morgan Stanley's lead energy commodity strategy, wrote in a report this week. The Morgan Stanley call could serve as a warning to oil bulls who believe the epic supply glut is over for good and the market is finally poised to flip into deficit. Saudi Arabia's new energy minister recently told CNNMoney oil is likely to end the year around $60 a barrel. The reason why oil prices have rebounded since crashing to $26 a barrel four months ago is partly driven by a reduction in the amount of oil being pumped. The long-awaited "rebalancing" process has gained steam, led by declines in production from non-OPEC suppliers. As of March, the U.S. was pumping about half a million barrels of oil less than a year earlier, even though American production has overall been more resilient than expected. But the reduction came at a time when a wave of outages hit -- wildfires in Canada and sabotage on oil facilities in Nigeria -- amplifying the drop in supply. 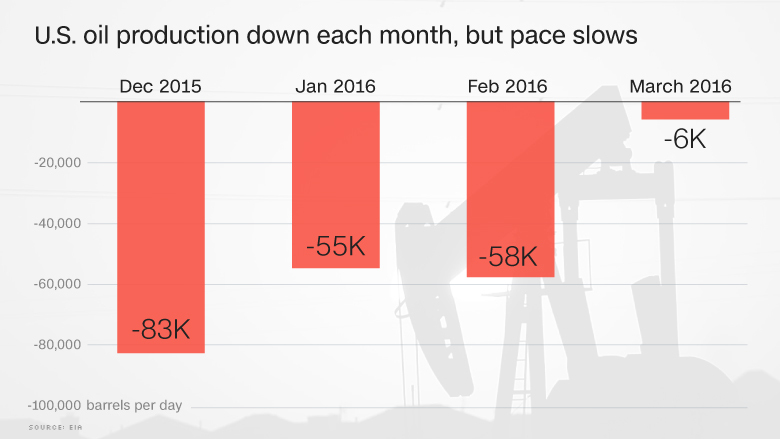 In Nigeria, production in May fell by nearly 1 million barrels a day to the lowest pace since the late 1980s. These near term disruptions haven't gone away yet, which is why Morgan Stanley actually raised its short-term price forecast for oil to a range of $45 to $65. The high end of that band represents a pop of greater than 30% from current levels of $49 a barrel. 1.) Outages to fade: Canada is "likely to mostly recover" by mid-July from the wild fire disruptions. And maintenance outages in the North Sea and Brazil should also recede soon. Longson argues that Canada's return alone should be "enough to pull the market back into oversupply," even if Nigeria continues to struggle. In a worst-case scenario for oil bulls, Libya could finally get back to pumping oil knocked offline by the civil war there. 2.) Inventories still a challenge: There's a lot less talk about the storage tanks overflowing these days, but the situation isn't exactly bullish either. Inventories "remain high" -- OECD crude levels are 83 million barrels above 2015 levels, Morgan Stanley wrote. 3.) Don't count out U.S. frackers: There are already signs that higher prices may be incentivizing struggling U.S. producers to tap drilled-but-uncompleted wells for oil. Also, the U.S. horizontal drilling rig count has been either flat or up in the past three weeks. Of course, this wouldn't be the first oil rally fake out. Morgan Stanley notes "plenty of similarities" with the false 2015 oil rally and points out that history shows severe downturns often enjoy strong mid-cycle bounces that ultimately end in tears.